INSIDE W 57“ | INSIDE D 29" | SEAT H 20.5"
BENZ "NAVY" WITH REGENCY "WHITE" WELT & BUTTONS, AND DARK WALNUT LEGS WITH BRUSHED BRASS CASTERS. Tip back another Sloe Gin Fizz and let the bubbles turn you in to the next Ginger Rogers. Big band music puts you in the mood to dance but you can’t be on your heels forever. 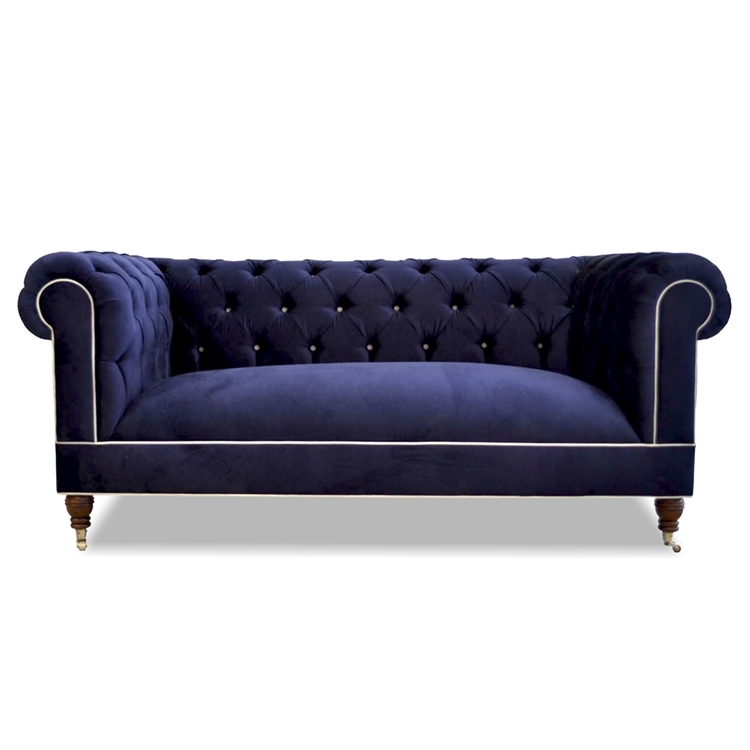 The buttoned back detailing and rolled arms of the Chester Settee is the perfect place to sip cocktails in between songs. COM Yardage: Item takes approximately 16 yards of solid fabric to complete. Allow 3 yards for contrasting welt & buttons. Item sold as shown online. Boxed weight is approximately 265 lbs. Email info@hautehousehome.com or call 323.256.2800 for custom options.